Set apart from typical modern design by its divergence from cool, straight lines, this Tesla Pair of Lever Handles for Bathroom Faucets in Chrome is an elegant, soft contemporary solution for a modern space. Handle kit includes pair of handles, set screws, and pop-up finial. 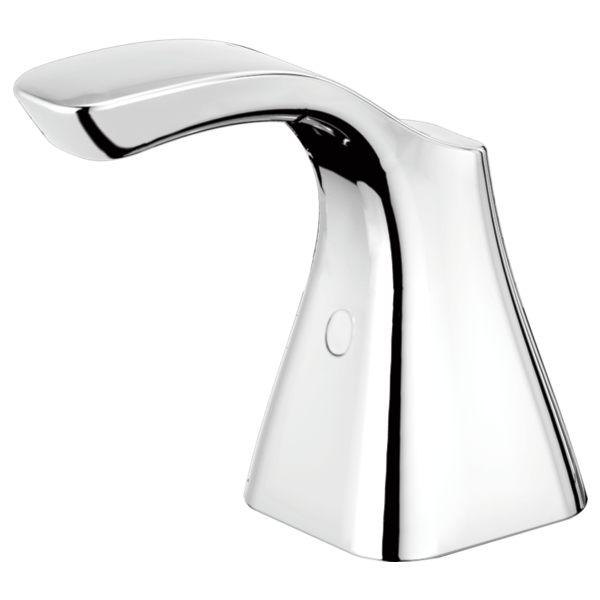 Delta's Less Handle Program allows you to choose your trim and handles to customize the look of your faucet in every room of the house. What is this? I can't tell.